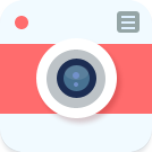 Quikchat is a new way to share photos and videos with friends. See things your friends would never post on Facebook. Tap a friend's avatar to send them a photo. Tap and hold friend's avatar for a video. Friends see what you see and feel what you feel, vividly and instantly! The coolest conversation you could find on the planet. Your Selfies never looked this good ! Download NOW!! !